The idea was to make memorable advertising, sport and documentary pictures. We wanted our commercial work to have the kind of impact, energy and credibility of our best editorial photographs. I'll often work on my own, or with one or two others, but we build a team for bigger productions. Five of us worked on the recent EE fans shoot but we had around 50 people on the crew for McDonald's Olympics. Pre-production is an important part of our work: making a plan, casting, rehearsing and location finding. We like to work in the real world but will create our own if we need more control. 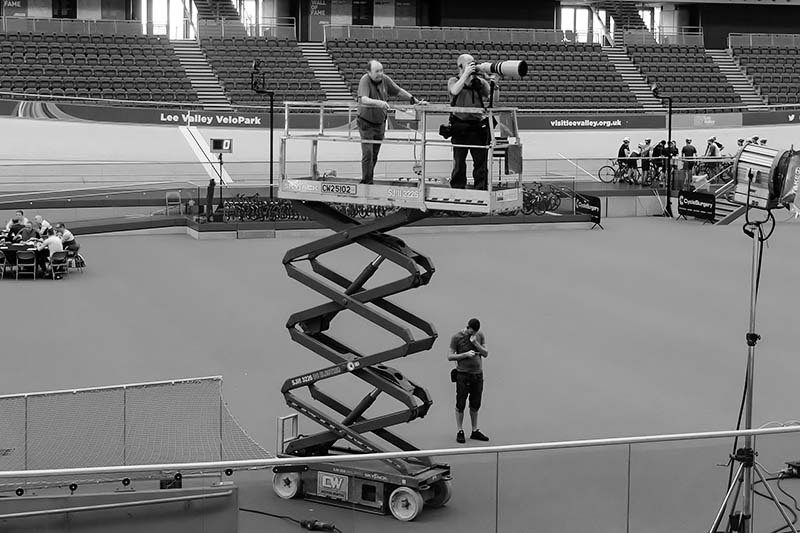 We've staged sports tournaments, dressed and face-painted hundreds of fans and used music, video, comedy, dancers and industrial heaters to create the mood we need to bring our pictures to life. Post-production includes the edit, delivery and grade of the photographs. We're also happy to manage any retouching that might be necessary. 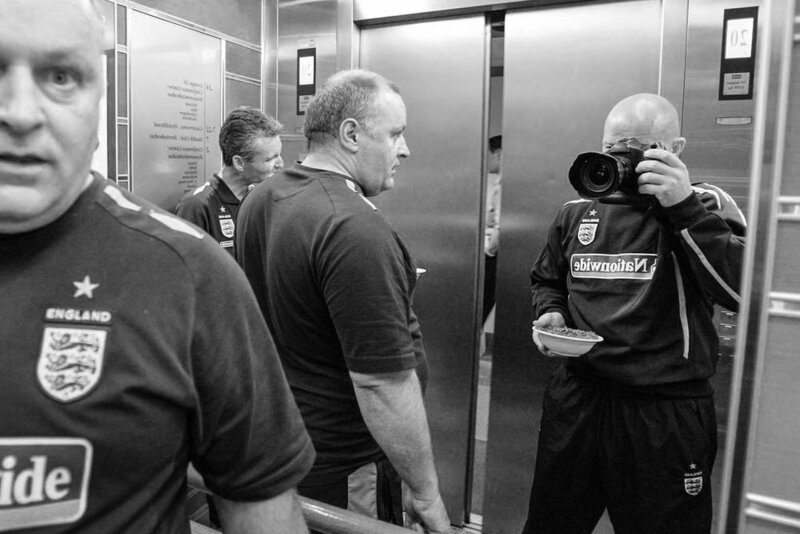 We founded the FA's official photo library with 250,000 pictures and have also built and run archives for the England team, The David Beckham Academy, Everton and Tottenham Hotspur. Our advertising work for clients like Audi, Umbro, Sony, Fiat and McDonald's has been recognised in the Association of Photographers, Campaign Press, D&AD and Cannes Lion awards. Editorially, we peaked early with nine out of ten UK front pages after the riot in Dublin at our first England game. Thanks to Guntars Krasts for some of the behind the scenes pictures on this page.